Patiqu never went to school. When Carl and Pat Whitehead met Patiqu in 1976, he knew Tok Pisin, Papua New Guinea’s trade language, but not how to read and write it. He and other people in the Menya people group wanted the Scriptures in their own language because they recognized that Tok Pisin didn’t speak clearly to them. Patiqu’s clarity of speaking drew the Whiteheads to him. They invited him to work an hour or two with them every day so they could learn the language, hoping to translate God’s Word someday into the Menya language. They taught him to read his own language after they developed an alphabet. Then, using the skills they’d given him, Patiqu taught himself to read Tok Pisin. A few years later Carl decided to expand the translation team by looking for additional educated men. The Whiteheads would pay all the work-related expenses and help in other ways, but wouldn’t be paying the team a regular wage. They had been paying Patiqu for his help until then, but explained that they wouldn’t be able to in the future. Other men swam in and out of the translation team, but Patiqu was always there, a steady rock through the river of life. The Whiteheads described him as, “the most consistent and steady person” in their translation team. He worked on the book of Acts and Romans by himself while the Whiteheads went on furlough, using the Tok Pisin Buk Baibel as his only aid. Once he completed a task, he was always looking for the next project, going on to produce draft translations of numerous books of the Old Testament. Today, Patiqu, approximately 70 years old, continues to participate in the read-throughs of the New Testament. The younger members of the team, one of whom is his eldest son, recognize Patiqu as the Papa of the translation. He was there at its birth and continues working for the Lord in his autumn years. May his hard work and endurance for God be a spark in the lives of us all. If someone holds a New Testament written in his own language, but doesn’t know how to read the words, it’s like a starving person holding a fishing net without the knowledge of how to use it. Although Ezekiel of the Menya people was not a prophet like his namesake, God used him to open his people’s eyes to the value of literacy. Ezekiel was chosen by a committee to attend a STEP (Strengthening Tokples Education in Papua New Guinea) course. This course taught adults how to teach and establish preschools in their villages so that the kids could learn their own language before learning English in the government-run schools. 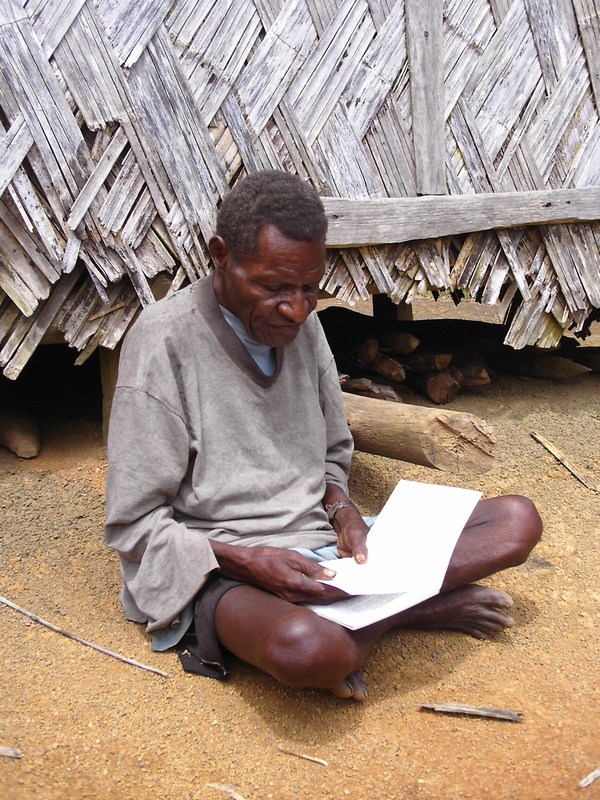 After the five-module course held over 18 months, Ezekiel returned to his village and spoke with his relatives. Inspired, one of his relatives donated a plot of ground for coffee; the proceeds were allocated for literacy so their people could learn to read and write, including the Bible someday. The people in Ezekiel’s village donated the first fruits of their first coffee harvest to local churches who’d helped plant and harvest the coffee. 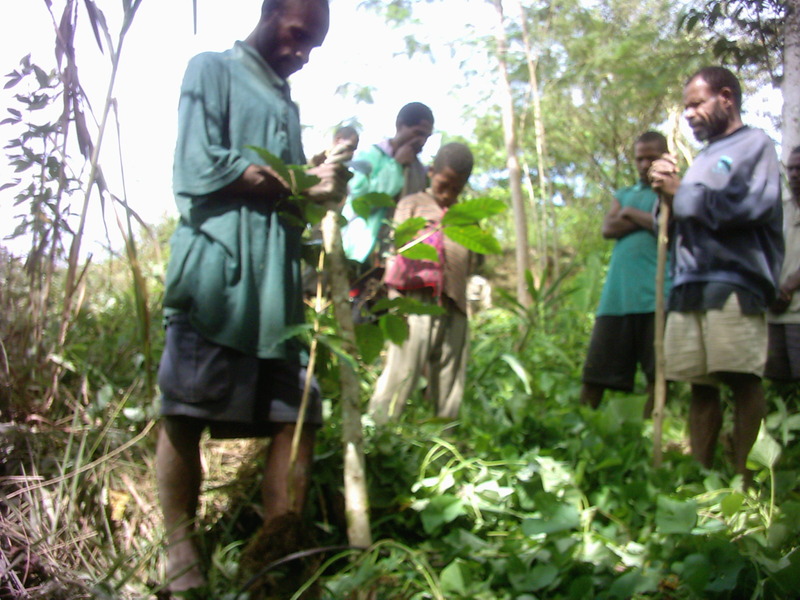 Five TokPles preschools were eventually established in the area with help from the money of the coffee garden. The Elementary school teachers noticed that the children who attended the Tokples preschools first before entering English-taught schools did much better in school than those who had not. Because God used one man to impart a desire to read and write to his people, the Menya now have readers who can record the New Testament so those who cannot or will not read God’s Word can hear it and no longer starve. Inside dozens of heads, brains busily transform language into the words of their home and heart. These translators have traveled many miles to study at the Translator Training Courses (TTC) 1&2. There they study Bible history, culture, and grammar. They learn how to translate so their people can see the full beauty of His Word, clear and precise in their own language. Though the work is difficult for these translators, they know that the Lord himself called them into this work, and he will hold their hands every step of the way. 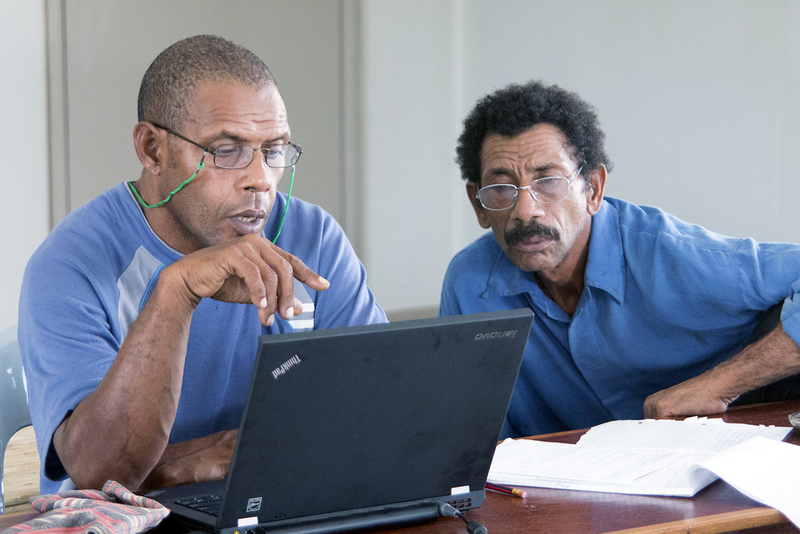 Through training, perseverance, and reliance on God’s strength, they will complete the task of translating God’s Word into their heart language. To the Kasua people of Western Province, every four-legged animal is a pig. They call a horse a pig-horse, a cow, a pig-cow, and a sheep, a pig-sheep, because all of these animals have four legs, which is kopolo, or pig, in their language. When some members of the translation team attended the Translators Training Course, they had the opportunity to observe and study sheep for the first time. As they watched and learned more about the animals’ behavior, their understanding of these creatures—and God’s Word—rotated on its axis. Once during the course, Logan and Konni—the translation team’s helpers—were driving with the team to a Bible dedication when Amos, one of the team members, said passionately, “We can’t use the word kopolo in front of the word, ‘sheep’! Pigs know when they’re about to die and squeal and scream.” The team had often watched villagers tie up pigs so they wouldn’t escape. “But,” Amos said, “Jesus didn’t do that.” The team had learned that sheep are quiet and still when death walks toward them. They had observed, as they translated the New Testament, the words of Isaiah 53 fulfilled: “Like a lamb led to the slaughter, he did not open his mouth.” And now they understood what it meant. 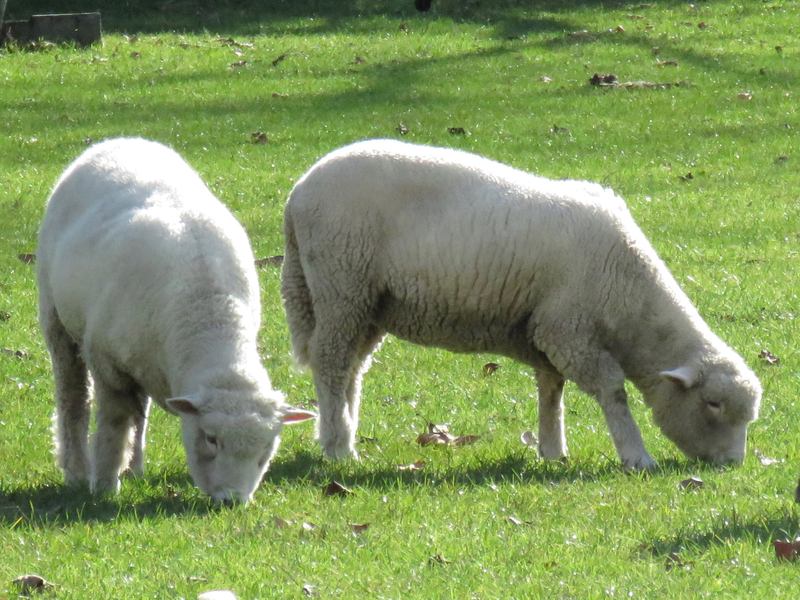 For this reason, the team decided not to put pig-sheep in the New Testament for the word ‘sheep,’ but used sheep-animal or, in their language, a:pele sipi. The Kasua translation team also chose to discard the word ‘pig’ before sheep because pigs are unclean animals to the Jews. The team knew that Jesus was called the ‘Lamb of God’ in the New Testament to show that he is unblemished and clean. Hopefully the Lord will open up the Kasua villagers’ eyes to these same truths about Jesus as they read of Him in their own language.